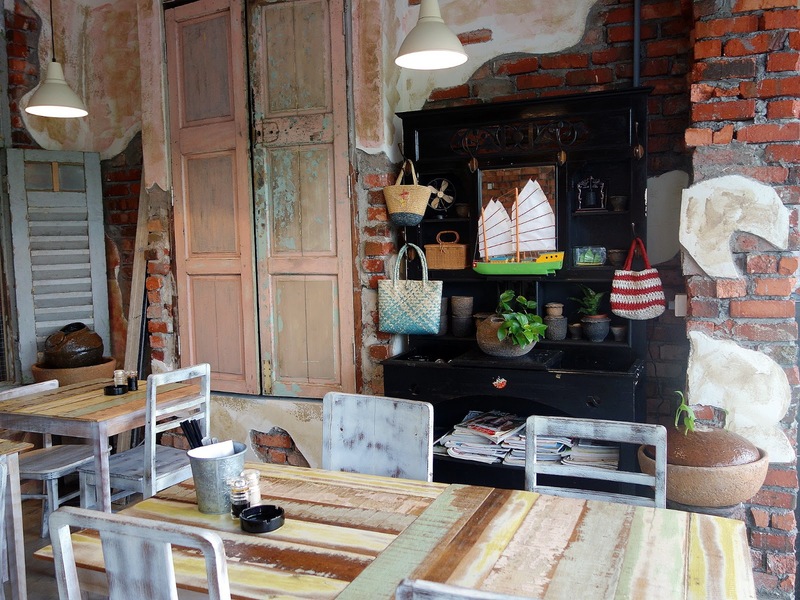 Five hours short of being in Malaysia’s hawker haven – that is, Penang – I settled for Kuala Lumpur which has undoubtedly been blossoming as the bulwark of sumptuous, childhood-memory-invoking food catered for the busy metropolitans residing in this city. This purported food insurgency has resulted in many quality restaurants popping up all over the place competing to fill the forever-unsatisfied stomachs of Malaysians. Dedicated to the ones desperately searching for a taste of your innocent days, for a scent to arouse your nostalgia, for food pleasing not only to the stomach but to the heart, for a restaurant that won’t burn a hole in your pocket – I give you Gyuniku Signature. The name is extremely misleading – a “Japanese” restaurant that serves Beef Ball Hor Fun, Wan Tan Mee, Muar Chee and Sago Gula Melaka? What were they thinking when they tacked up the sign?! Apparently it turns out that Gyuniku is Japanese for Beef Ball Noodles, which is their acclaimed dish; hence, the adorable cow on their sign. For those of you who don’t fancy taking a 30-minute LRT ride from the Taman Bahagia Station to Central Market, you needn’t go so far to experience their signature dish as there are branches in Taman Tun Dr Ismail and in Sri Hartamas. As you first step into Gyuniku, the first thing you would notice is the ambience; how the restaurant is re-created to seem as if you were stepping into a photograph of a Malaysian hawker street some 35 years ago. Unpainted walls lined with rows of potted plants, random knick-knacks and one or two ancient wooden shutters propped up against a side envelope the whole restaurant, giving the visitor a strange sense of calmness in their hearts. Definitely a place to bring your parents to if they start reminiscing about their past. I can say one thing: my high expectations of this meal were met. 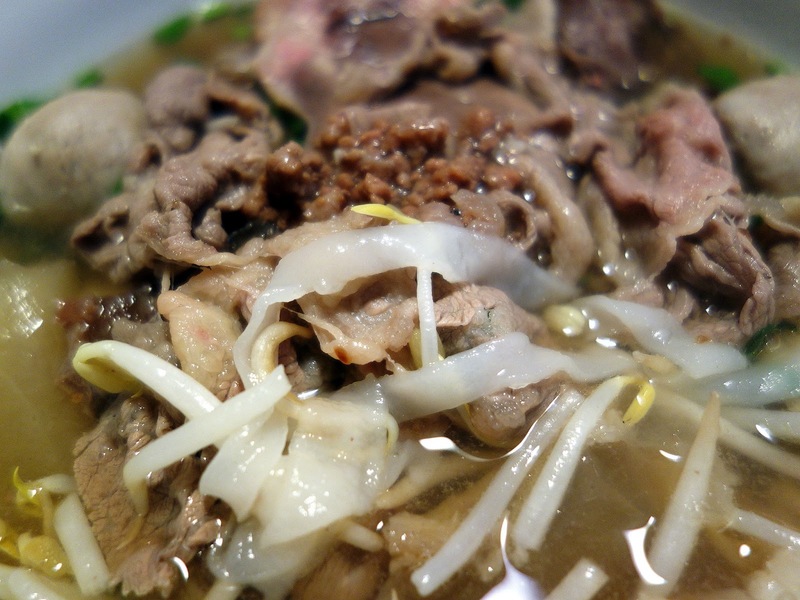 The horfun was soft, supple and smooth – made especially for slurping. CAUTION: When at Gyuniku, keep in mind that you will hear strange slurping sounds coming from the tables around you. Yeah, it’s that good. Moving on, the caramel colored soup is not only satiating to the tongue but also to the eye. As I skimmed the top of the boiling hot pool of flavor, the surface rippled serenely inviting me to take a sip. Upon doing so, I experienced an explosion of rich and savory flavors, albeit a little too intensely but that’s not all! Their beef balls, the ones which make Beef Ball Noodles what they are, are uniquely individualistic… and huge. You can’t eat them in one bite (unless, of course, you have a giant gaping hole in the place of what we humans call a mouth). The beef balls are well… beefy, as one might expect but what puts them above the rest is the hint of herbal aftertaste that lingers in your mouth even after the meal is finished. 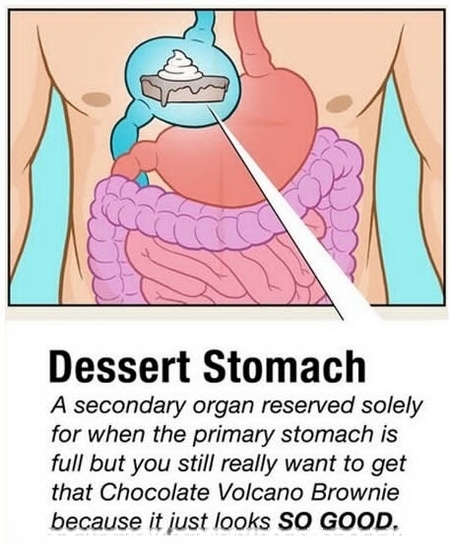 If you were to thoroughly look through the menu, you would be wise enough to leave at least 30% of your tummy space for sweet treats lest you have an anatomy such as the one below. Time to ‘fess up. I have an addiction to all things which have a glossy finish. So how can I say “No” when the photograph of the sleek cream-colored treat in the menu stared so tantalizingly at me? This is precisely why I ended up with yet another plate of dessert this time being the caramel custard (it’s the last one, I promise). The smooth pudding literally melts in your mouth! Great for people who are just too lazy to chew. The caramel topping, though seemingly very measly, was sufficient to enhance the flavor of the nectarous dessert. 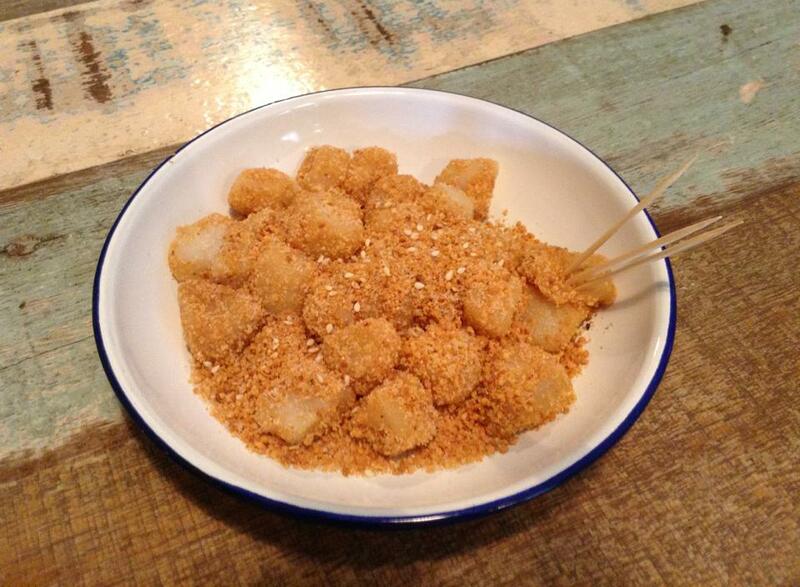 Of the three, I have to say the Muar Chee was by far my favorite! Conclusively, if not for the overwhelming richness, crunchy sago and the weird name, this restaurant would receive a full five-star rating and people who are familiar with me know that I’m not generous with compliments. Anyhow, Gyuniku is definitely a place I would return to!